Detailed information about whitewater rafting trips on the Class III-IV+ Pigeon River in Tennessee near Great Smokey Mountain National Park. The Pigeon River is located just outside of Great Smoky Mountain National Park. It runs along Highway 40 for the majority if its length and cuts deep into the bedrock of the Appalachian Mountains, creating a natural border between Tennessee and North Carolina. Pigeon river rafting has grown very popular in recent years. For many years, rafting on the Pigeon River was overlooked due to unreliable flows and poor water quality. In 1992 the Bureau of Land Management began cleaning up the river by modernizing a pulp mill upstream. In 1996 a dam ruptured upstream of the rafting run, resulting in more reliable summer flows. 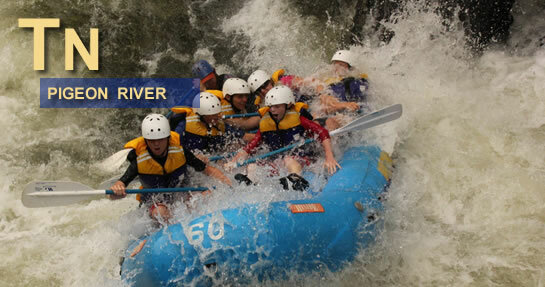 Wildwater Limited is widely recognized as one of the finest whitewater rafting outfitters in the country. For 30 years, their attention to detail has made them a leader in the outdoor adventure industry. Providing high quality experiences on their adventure rafting trips is their number one priority. Visit their website for more information about Pigeon River Rafting. The Upper stretch is five miles long and runs from the Waterville Dam to Hartford Tennessee.The Upper is the more challenging of the two sections, with several Class III rapids and a couple of Class IV drops. The most notable rapids are Roller Coaster, Big Rock and the biggest…Lost Guide. 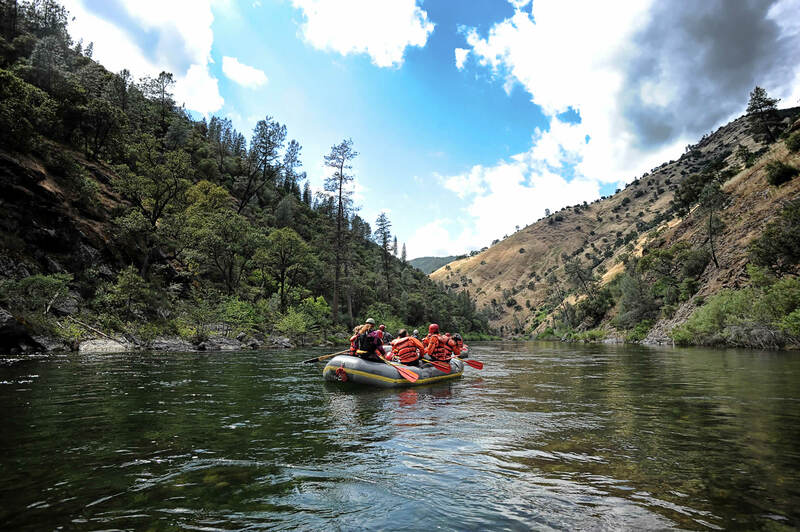 Rafting on the Lower Pigeon is a perfect trip for first-timers, youth groups and families with young children. The Lower Pigeon is five miles lin length with with fun, bouncy Class I – II rapids and lots of scenery. Releases on the Pigeon River are guaranteed from Memorial Day through Labor Day.